The Sannce 4CH is considered to be a low budget, but high quality outdoor CCTV system. For just under £200 this package is a great way to provide security in your home on a tight budget. You can spend an absolute fortune on state of the art systems that allow you to do full video surveillance on your home, and I do mean thousands of pounds. Most people can simply not afford to do that. If you have a tight budget, then we think that you will be pleased with the results of this kit. There are plenty of buyers online who have made this purchase and overall they rate this kit with an 80% buyer satisfaction rating. 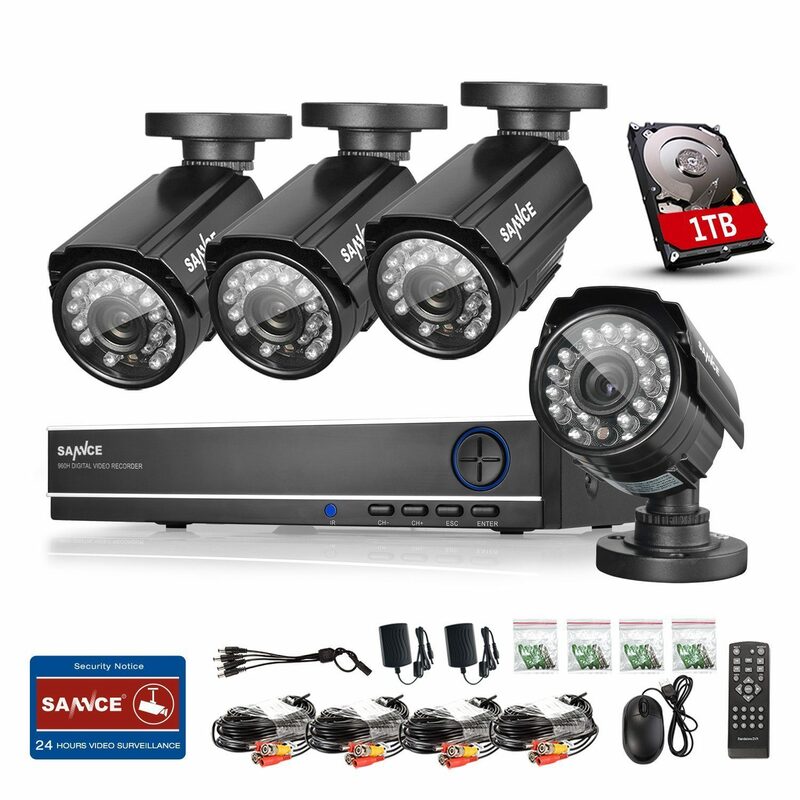 This model 4CH 10180P from the SANNCE manufacturer is a good purchase for those home owners who want to provide a good level of security around their home, without spending an absolute fortune. Buyers say that this system is easy to fit and most buyers think that the picture clarity is very high, and that it works well for both day and night imaging. So if you want some type of CCTV coverage around your home, and are on a tight budget, then this is the one for you. Likewise if you own a small business and want to have some type of basic video surveillance, then this system is worth looking into. On average this takes around one hour to set up and it is very easy to use. As you can see from the video above this CCTV kit is useful, easy to assemble and super easy to use. This one comes with 4 cameras, the necessary cabling, a remote control, the recorder and the power pack. It also has a quick start guide for simple set-up. The cameras are light and compact. The system does come with a year's guarantee and free lifetime technical support. You can also use an "app" for quick remote access from your Smartphone or Tablet. Please note this does not come with a hard drive storage and that needs to be purchased separately if you want to keep and store any recordings. For many home owners and for small businesses, having good night vision on their CCTV system is one of the most important things. There are many systems out there that really under deliver on this. This Sannce model is particularly good with high resolution cameras and also high quality video recording. ​This unit and kit arrives well packed and does contain all the parts that you need to get up and running. You do of course have to run the cables in and that is the hard part of the work. It depends where you have to run the cables to that will really take up the time. 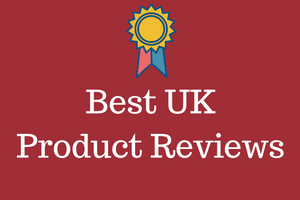 The motion detect is also a really useful feature to have.​ Now it is fair to say that this kit does not use the latest technology, but that is clearly reflected in the price. That said, the technology is more than good enough to do the job, and do it really well. I like to class it as being able to buy a Rolls Royce for £5. You are getting a good quality product for a low price. This system doesn't come with a hard drive, though you can buy one and use that if you want that capability. This system along with a hard drive can then save the video on the hard drive and you can play it back. The recommended hard drives are SATA. SATA2(3GB/s) or SATA3 The rate of 6 GB/s is recommended. You can click here for more hard drive information. The system as it stands without a hard drive, you only can use for real-time viewing, as no video can be saved. The 4 cameras share the one power supply. Other than that all you really need is an HDMI cable and the rest is easy enough to set up and get going. Buyers like this a lot and hence the 80% buyer satisfaction rating. It is pretty much a plug and play system so very easy to get it set up quickly and working quickly. Most buyers set it up on their TV by connecting the box to the TV with an HDMI cable and then using the remote control. There are not that many bad reviews about this. A couple of buyers complained about the camera quality and a couple of others said that the App used for connecting up the system to their phone was poor. The majority of buyers though thought this system was great value for money and worked really well with nice clear camera images. The images appear to have great resolution, and most buyers said that they were very clear, even in poor weather conditions. Almost every buyer review that I read stated that the buyer set this system up on their own or with the help of a friend. That is always a great sign as not being able to get a system working can be a very frustrating part of the process. That is of course down to the fact that the cameras are set to plug and play, and that makes all our lives easier. For those of you who are technical this will be a breeze, and according to buyers, it is easy no matter what level of technical expertise you have. This system will always be about getting value for money and good quality.